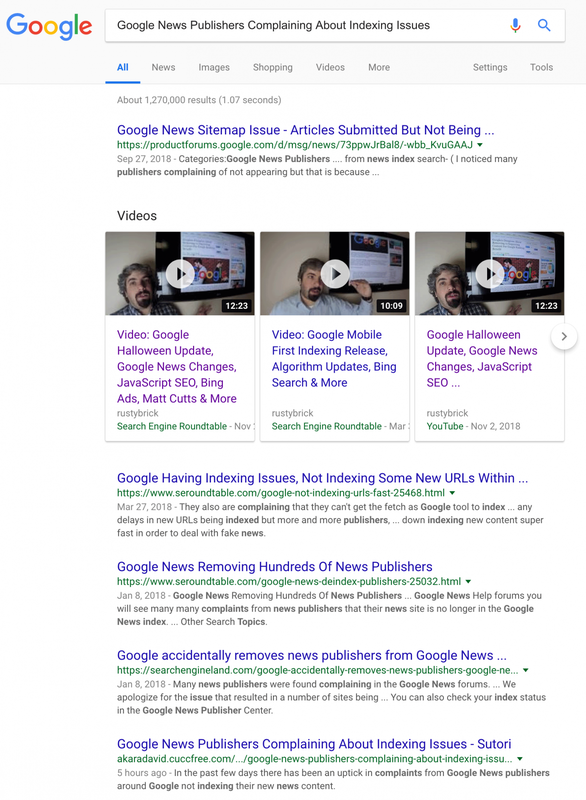 In the past few days there has been an uptick in complaints from Google News publishers around Google not indexing their new news content. Gary Illyes from Google did a rare appearance on Twitter to say he passed along the feedback to the Google News team to investigate. You can scan through the Google News Help forums and see a nice number of complaints. Also David Esteve, the SEO at the Spanish newspaper El Confidencial, posted his concerns on Twitter. This site seems to be indexed fine. 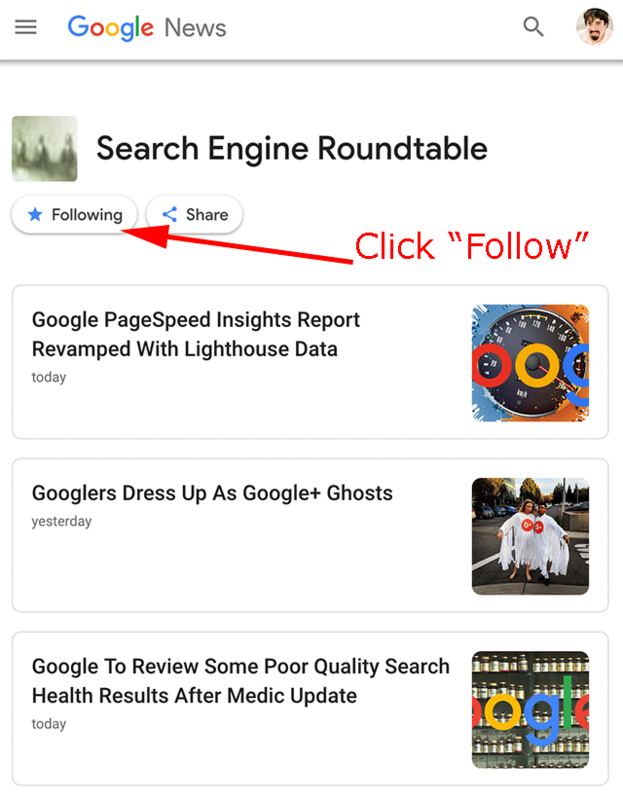 You can see on Google News - please click the follow link as a favor while there - that our stories are recent and being listed. I did look at the El Confidencial Digital in Google News and it seems there are a lot of recent articles being shown there. 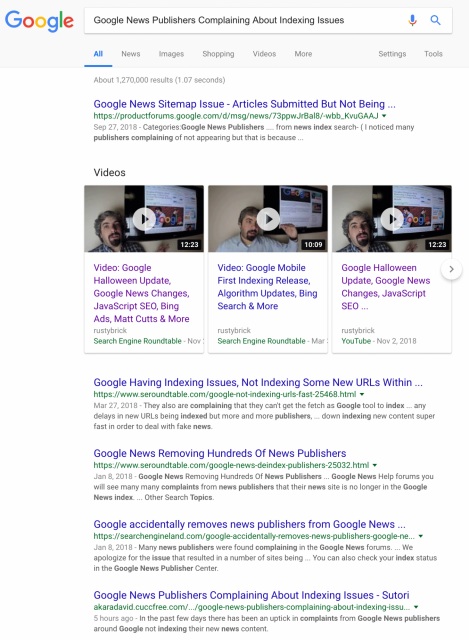 So I am not sure exactly what is wrong, I know with my site, most of my articles are crawled, indexed and ranked in Google News. But there are a nice number of complaints. Forum discussion at Google News Help forums and Twitter. Update: To clarify, based on the comments below, the articles can be found in Google News but not in Google search. For example, it is five hours after I wrote this article and it doesn't come up in search. Normally it would come up and be indexed within minutes in web search. Update 2: Lisa Wang from Google responded in this thread saying "This is a known issue, and the team is investigating. No additional details are available at this point, but we will be sure to follow up as soon as possible when we have more information to share."